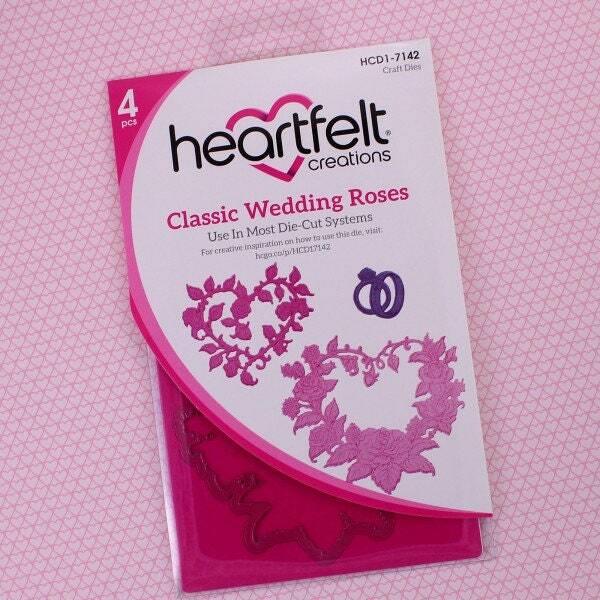 Add a touch of romance to any bridal design with dreamy delicate rose filled wreaths! Two varying sized heart shaped dies, when paired with the coordinating cling stamp set provide you with a variety of creative options with the larger offering the choice of creating an embellishment with a solid center ready for a heartwarming sentiment, or a die cut center creating a beautiful open style wreath ready to become a hand shaped embellishment. The charming set of wedding bands is the perfect accent to finish those engagement, wedding or anniversary creations! 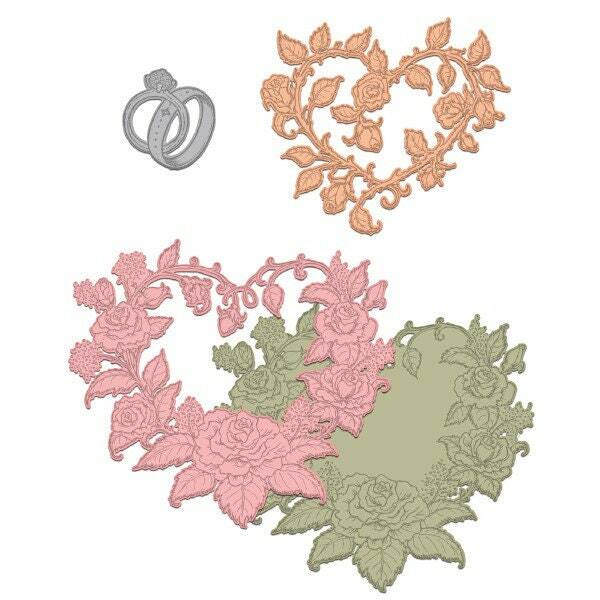 These dies are part of the Classic Wedding Collection and pair with the Classic Wedding Roses Cling Stamp Set.